Sabi Sahota & Trendz Music Presents Sahaan Toh Pyaareya Latest Punjabi Song released on 3rd April 2015 on Trendz Music. 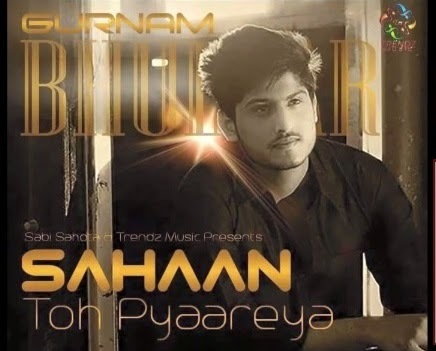 Read Sahaan Toh Pyaareya Lyrics and watch official video by Gurnam Bhullar. The song is sung and written by Gurnam Bhullar and composed by Rupin Kahlon. The song is edited by Sarabjeet Sohal and the song direction is done by Enn Syan and Varinderpal Bains. => Also Check another new punjabi song Lafaz Song Lyrics by Gagan Sandhu.